ECHO Donate Life is an annual initiative focused on making the Donate Life message one of diversity and inclusion. 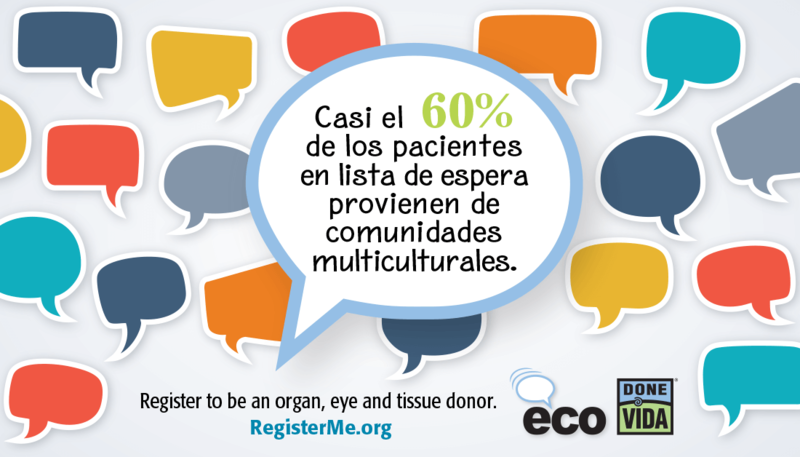 It is about empowering multicultural communities to save and heal lives by registering as organ, eye and tissue donors. The goal is to equip people with tools and resources to have meaningful conversations about donation and transplantation. Use the power of your voice to help others and foster community by sharing your decision to register with family, friends, neighbors and coworkers. Encourage them to ECHO you and Donate Life by registering to be a donor. Donate Life ECHO was created in 2015 as a collaborative partnership between the Association for Multicultural Affairs in Transplantation (AMAT) and Donate Life America. There are numerous ways to show your support of this observance. 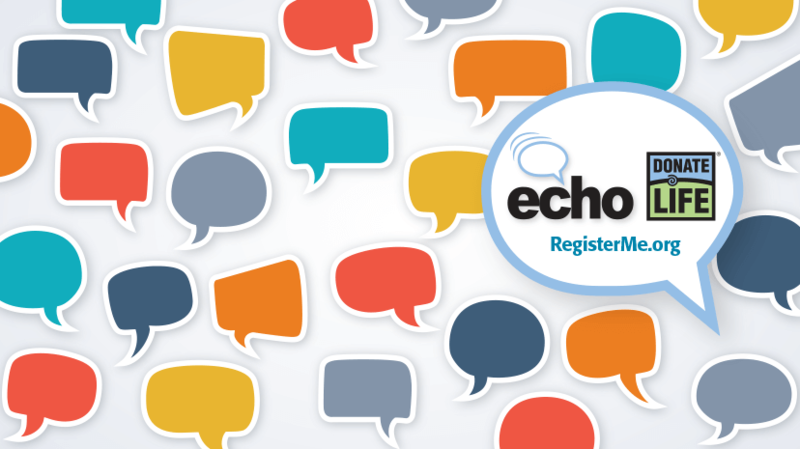 Review the resources below and decide the best way you can get involved. Print these business card sized hand-outs on your home computer. They print 10 per page on 8.5” x 11” paper. Throughout the two week observance, hand cards to people throughout the day (grocery store clerk, bank teller, mail delivery person, school front office, etc) and ask them to keep the Donate Life ECHO going by registering and passing the card along. The below are short, one-minute videos featuring personal donation stories. 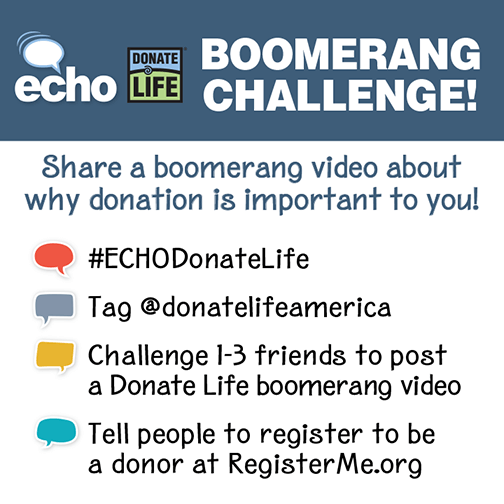 Watch and share them with others to ECHO Donate Life within your own community! 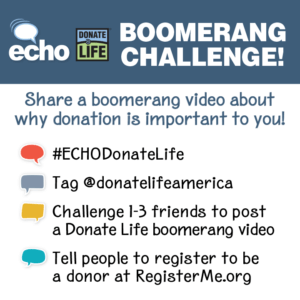 DONATE LIFE ECHO BOOMERANG CHALLENGE! 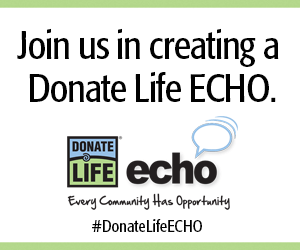 Facebook Frame & Camera Effect – A Donate Life ECHO frame will be available in July! Go to our Facebook page for the announcement. 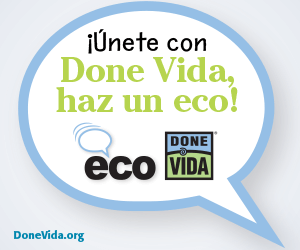 Print and use one of our existing speech bubbles in pictures of yourself, friends and family! You can also create your own message with the bubble template provided. 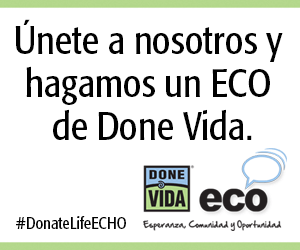 All artwork is copyrighted by Donate Life America and may not be copied, altered or reproduced. Contact the Donate Life America Office with questions or requests for alternate use of the copyrighted artwork (Valerie Gray). 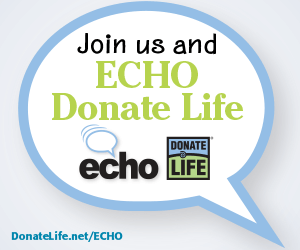 If you are a professional from the donation and transplantation community, login to our members website for additional ECHO Donate Life resources. 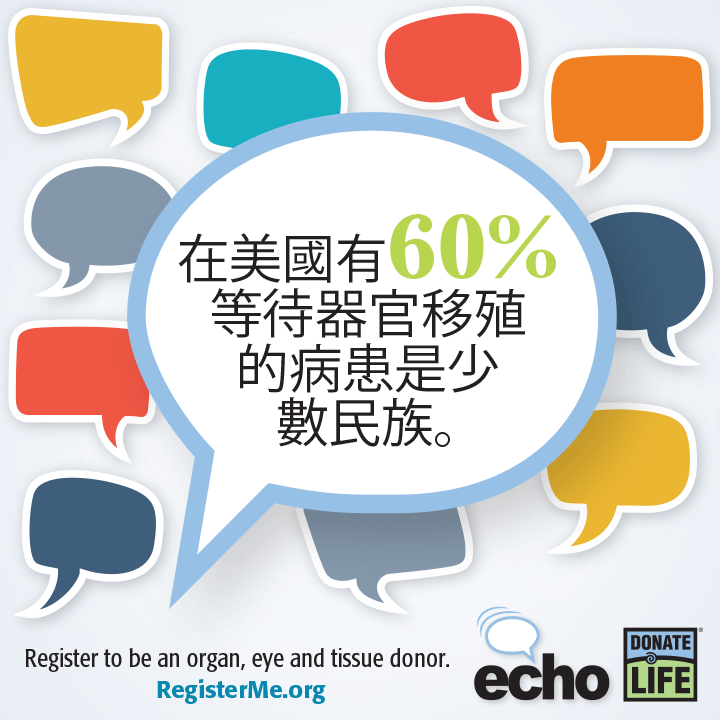 Registration takes less than a minute.